If your business operates in more than one location, you cannot ignore this case or its implications. Central Transport operates trucking terminals around the country. As a result of OSHA’s investigation of one facility in Massachusetts, the agency fined the company $330,800 for violations relating to powered industrial trucks. That, in and of itself, is not that remarkable. What OSHA did next, however, should cause your head to spin. In addition to the citations and fines levied at the facility it actually inspected, an OSHA administrative law judge also ordered “enterprise-wide” abatement at the 170 nationwide facilities OSHA had not inspected. The ALJ relied on the “other appropriate relief” clause of section 10(c) of the Act to conclude that the agency has the authority to order such enterprise-wide abatement of hazards existing, “upon information and belief,” at worksites other than the location where the inspection occurred. “Judge Baumerich’s order is significant and precedent-setting. This is the first decision by an OSHA Administrative Law Judge expressly finding that the U.S. Occupational Safety and Health Review Commission may have the authority under the OSH Act to order abatement measures beyond the specific violations identified in the citations. The department is now authorized to proceed with discovery and to demonstrate, by presenting its evidence at trial, that enterprise-wide abatement is merited on the facts of this case,” said Michael Felsen, the regional solicitor of labor for New England. “When an employer has hazards occurring at multiple locations, common sense and reasonable worker protection law enforcement both dictate that the employer take corrective action to safeguard the health and well-being of employees at all its worksites,” said Kim Stille, OSHA’s regional administrator for New England. If your business operates in more than one location, you cannot ignore this case or its implications. What steps can (should?) you take to minimize the risk of enterprise-wide abatement based on a one-site inspection? Think CAT — Communicate, Analyze, and Train. 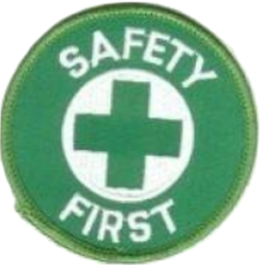 Communicate and share safety issues among all locations. It appears that conventional wisdom, which stated that OSHA inspections are limited the actual facility being inspected, is out the window. As a result, if one facility is having a safety inspection, you should be sharing that issue across all your facilities, so that if OSHA comes knocking you will limit your exposure company-wide. Analyze your safety low-hanging fruit. You will find this low-hanging fruit in two places. First and foremost, if you are not using your OSHA 300 logs as a compliance tool, you are missing a great opportunity. By tracking employee injuries, those logs tell you how employees are becoming injured, and, in turn, which safety areas need to be addressed. Secondly, you should analyze national and local trends for the areas most often cited by OSHA. Train, train, and train some more. 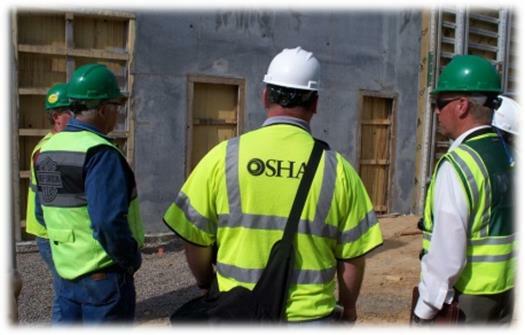 Your managers and supervisors are your best defense against an OSHA-related issue. They are your eyes and ears among your employees. If they don’t know what OSHA requires and how those requirements must be executed in your business, then that line of defense is leaving you exposed. It sounds trite, but with workplace safety, the proverbial ounce of prevention is really worth the pound of cure. Jon Hyman is a partner in the Labor & Employment practice of Meyers, Roman, Friedberg & Lewis. He is a Workforce contributing editor. Comment below or email editors@workforce.com. For more information, contact Hyman at 216-831-0042, ext. 140, or jhyman@meyersroman.com. Follow Hyman on Twitter at @JonHyman. You can also follow him on Google Plus.